I emailed each of my 4,500 LinkedIn connections and wrote a short but passionate letter about how I am available to help them and just asked that they read a blog post that was about how to make things go viral – and to share it with their pool of followers and readers. I usually don’t email my LinkedIn contacts directly, except for the very first time they connected with me. The response was very good. By the end of the first day I had 1215 hits to my blog. I normally average about 200 per day. The second day I had 801 – four times my norm. Not only did people read and share the link, many expressed gratitude for the content. Five or six people asked me to guest-blog for them. Several others inquired about hiring the company I work for to conduct a publicity campaign. Many said they signed up for the blog. It was a resounding success. · There is viral fatigue out there. Some people said that they cannot keep up with the information sent to them nor can they take the time to re-circulate it. I wasn’t surprised to hear this. · Others asked for reciprocation – to follow them on Twitter, to tweet about them, to read or subscribe to their blog, or to mention their site on my blog. Seemed fair enough. In most cases I offered to interview people for my blog. It gives me useful content and quality exposure for them. · The majority of people did not read the email. Of those that did, a tiny percentage wrote back to me. But I know many people read it and clicked on the link, and some shared it without saying they did so. · All respondents commented favorably about my blog and my offer to help them. Just one person said unsubscribe out of 4,500. · Having posted some 350 times on my blog, none of my posts got distributed to as many people as this one. It shows a direct email will be read and acted upon more so than a random Tweet or post on FB and LI. Going viral takes a lot of things – great content, luck, timing, a large pool of followers – and the right incentive to convert a reader into a raving fan who shares your link and advocates on your behalf. But the process of building a social media network is time-consuming, mind-numbing, and filled with favor paybacks that would make lobbyists and politicians blush. It is a necessary evil today – to succeed as a writer, producing great writing is not enough. You need to create a marketing machine – out of your time and effort – or you need to hire someone to hunt for you. Does this force us to be better writers, knowing that we need to write something that is truly marketable? Will it make us more disciplined, knowing our time to write is infringed upon, if not dwarfed, by the time needed to hustle and market ourselves and our works? Technology and lower barriers to get published make it easier to be more prolific but it also means your competition is more prolific, too. Further, your time to write is decreasing as a result of all the social media activity you need to execute. Try and balance your wirting and marketing – you may one day go viral, too. 1. What is winningwriters.com? Winning Writers is a comprehensive online resource for creative writers, with an emphasis on literary contests. We have been in business since 2001, and have been named one of the "101 Best Websites" by Writer's Digest every year since 2005. Our database (available to paid subscribers) features complete guidelines for over 1,250 English-language contests for poetry, fiction, and nonfiction. Sometimes we have more current information than the contest's own website! Our free email newsletter, with listings of free contests and advertisements from carefully vetted literary publishers and workshops, goes out to 40,000 subscribers. We also sponsor several contests of our own. Winning Writers has a "consumer protection" orientation, in that we not only list contests, but we advocate for more transparent judging procedures, dialogue with contest sponsors about improving their rules and prize structure, and help subscribers resolve complaints. Unlike our competitors, we rank contests based on our impressions of their prestige value and other factors, and we give guidance about finding the contests that are most appropriate for an entrant's skill level (emerging, intermediate, advanced). My prizewinning poems and short stories have also appeared in such journals as The Iowa Review, Bayou Magazine, Anderbo.com, Alligator Juniper, The Adirondack Review, and many others. 3. What are the rewards/challenges of being a writer today? The abundance of connectivity and content available at your fingertips nowadays is both a reward and a challenge. A reward, because you no longer have to live in an expensive big city or work at a university in order to be part of a vibrant literary network. It feels like there are more books, stories, poems, blog posts, etc. available to read now than ever before, and the Internet lets you discover them directly, without the gatekeeping of big bookstores and publishers. But this is also a challenge because you have so many distractions taking you away from writing, and so many other voices that compete with your writing for a reader's attention. In every era, I think, a writer must take the improbable leap of faith that toiling in solitude for years with invisible materials will someday have a meaningful impact in the so-called real world. 4. What advice do you have for struggling writers? Depends on what they're struggling with! Learn to know yourself and trust yourself. It's better to make your own mistakes than to succeed by pleasing a teacher or critique group. Don't let interpersonal static drown out your inner voice. Let the book tell you what it needs. You can think about the market later. A good book is a self-contained world that is consistent with its own inner logic. When something is shoehorned in, or whitewashed over, because you think "vampires are hot this year" or "no one will publish a book with a disabled protagonist" or whatever, your book becomes that much less true, and that much less necessary to the world. 5. Where do you see book publishing heading? I think the stigma of print-on-demand and self-publishing will continue to fade, just as online publishing used to be seen as an amateur forum but is now becoming competitive with traditional print journals in terms of prestige value. The growing popularity of e-books will further lower the barriers to entry. I need a traditional press to fulfill print inventory orders, but I can sell an e-book to anyone with an Internet connection. As a practical matter, there's not much difference between being self-published and being published by a small press, since you still have to do most of the marketing, editing, and proofreading by yourself. Even writers who have been published by larger commercial houses tell me that agents and book doctors are taking over the traditional functions of editors; the publishing house itself is investing less and less effort in any one title, whether in editing or in marketing. So why not eliminate the middleman? An interesting intermediate step, which removes some of the vanity-press stigma, is for a writer or group of writer friends to start their own little press to publish their work AND others. Is that self-publishing? I see that question as becoming less relevant. Probably the academic job market is the main force keeping the publishing hierarchy alive. Writers who teach need those prestige points to put on their resume, even if their books might get better treatment from a small press or DIY operation. 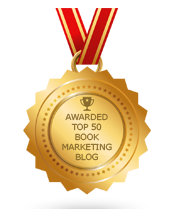 What Is Your Book Marketing Attitude? Are You Cashing In Your Expertise & Ideas? Will Book Vending Machines Replace Bookstores? There's so much here it's hard to take it all in... In chunks I guess will have to be how I digest it. Thanks so much. You are very generous! Where Does Your Consumer Shop? What Should An Author Web Site Have? So, Where Do You See Your Book In 5 Years? How Do You View Book Marketing? Is The Book Automat Coming Soon? Will Tablet Wars Help Sell Books? Can You Find 2,705 Buyers Of Your Novel? Ready To Compete With 4,000 New Books Each Day? How Much For Your Book? Are The Books Already On Fire? How Will You Get Someone To Share Your Link? Do You Know Why People Buy Your Book?